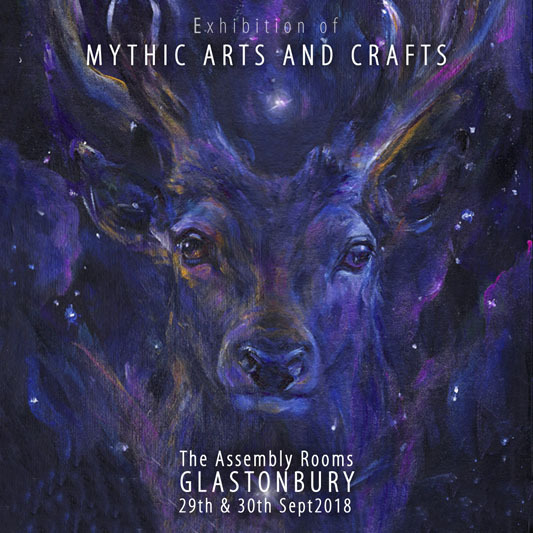 The weekend of 29th and 30th September 2018 sees the 6th Exhibition of Mythic Arts and Crafts in The Assembly Rooms. Glastonbury. There will be six artists attending this year, myself, Melanie Brear, Laura Daligan, Alexandra Dawe, Tamara Newman and Katrina Sesum. I have been involved in putting on the event from the beginning and devised a gallery hanging system which we install for the weekend to help transform the space in the Assembly Rooms. We have had, over the years, appreciative comments about what we do with the room and how we present the art in there. It is a collaborative event where we collectively hire the hall. Each artist has then their own space to present their work. We work in what is more generally known as the fantasy genre. Though that is probably too simplistic, it is a handle which most people can understand. We like Mythic though.